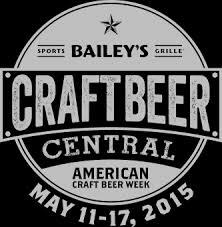 Sadly, American Craft Beer Week 2015 is now behind us. With every new year, we experience a growing problem.....there are too many awesome things going on in one week! 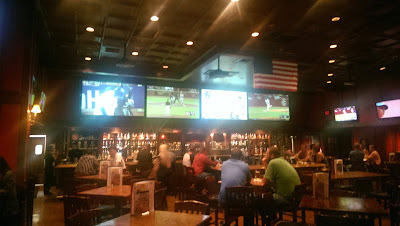 I decided to close this years American Craft Beer Week with a trip to Bailey's Sports Grille on Robious Road in Richmond. During my tour, I was made aware that four of their taps are used for monthly brewery take overs. I was happy to find that these breweries were often Craft Beer from Virginia. The other thirty six taps.....yes, I said THIRTY SIX... are a mixture of primarily local and national crafts. If you like good beer and sports of any kind, you'll be in heaven. Of course, you still have the option to drink macro swill, if you wish. I wont tell you which ones....but one rhymes with Wudbeiser. The Manager reminded me that this is necessary for the occasional NASCAR/Football game. Speaking of which..... TVs EVERYWHERE! The size and multitude of televisions was just as impressive as the variety of sports featured. If you're like me and you love a good scrum, you should be aware that Bailey's was showing Rugby. Sadly, this is a rarity at normal sports bars but is becoming more widely appreciated in American culture. If watching isn't your thing, you can take a few steps to the next room where you will find 3 pool tables to entertain you. If your lucky enough to stop by on a proper Spring night as I did, you'll be able to enjoy the bar and patio. I was delighted to find two more beers in their selection here, most notably Center of the Universe's Scotchtown Bourbon Barrel Aged. As far as my palate is concerned, the sweeter, darker, and heavier the beer gets, the better.....but add bourbon barrels to the mix and I'm on cloud nine. 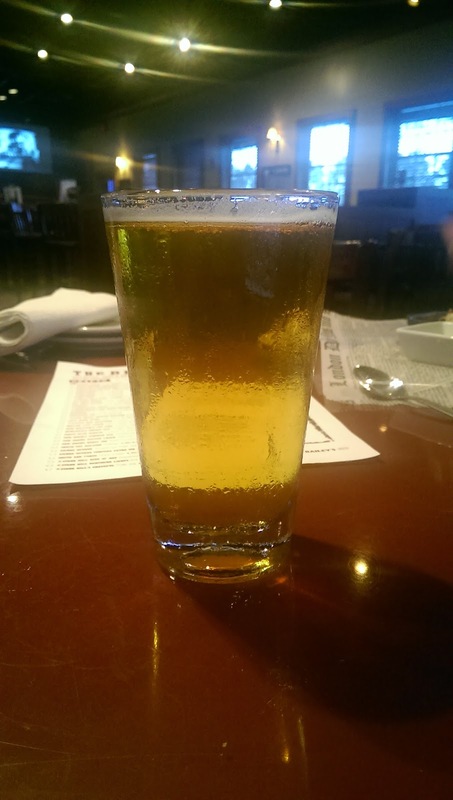 Obviously Bailey's Sports Grille is a great place to go for a craft beer but don't forget about the food! I grabbed myself a Pastrami Burger (Reuben meets burger) and some Parmesan Fries for dinner and was thoroughly impressed. When you go, I recommend signing up for the Bailey's All Star Club Card. At first glance, it seems comparable to many other customer rewards programs but Bailey's knows how to stand out. After our first dinner and signing up for the program, I received a free burger for my next visit (which I plan on using this weekend). I also want to give a shout out to the staff at Bailey's who made the experience great, most notably my server, Alexis and the Restaurant's Manager, Tim. 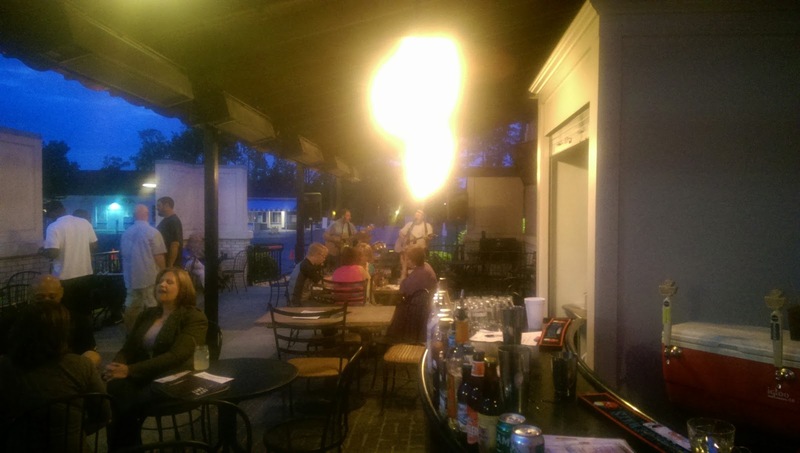 Both were very knowledgeable of the Bailey's Brand and the Craft Beer served. 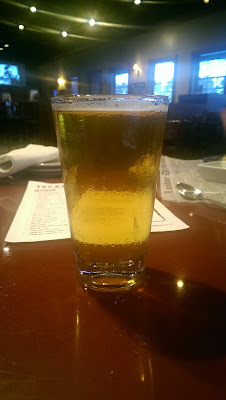 Over all, I had a great time at Bailey's Sports Grille and I was impressed that an establishment of their size took the time to get to know the local breweries and appreciate their craft. 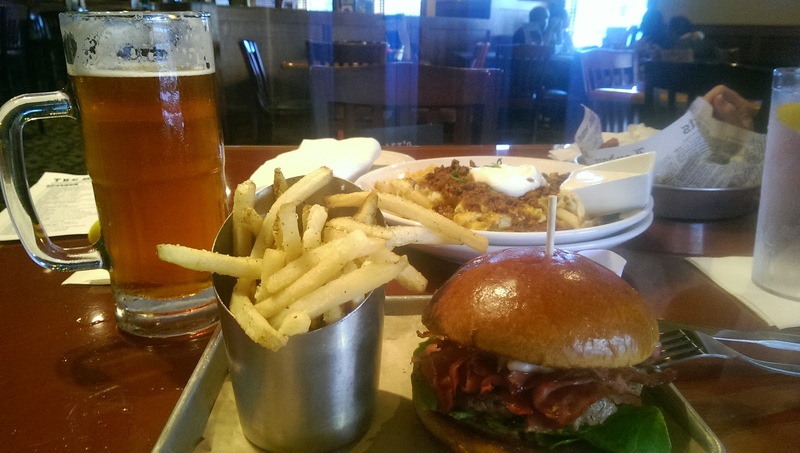 Behold, the Pastrami Burger and Parmesan Fries! Stone Brewing RVA has a Website!